what color should I go on my calipers? I have a hard time making decisions. My car is a chili red justa. Red, bronze, gold, blue, yellow? Does that even make a noticeable difference? Do you want it to be bright and flashy? On stock brake calipers I personally like to keep it subtle and subdued. 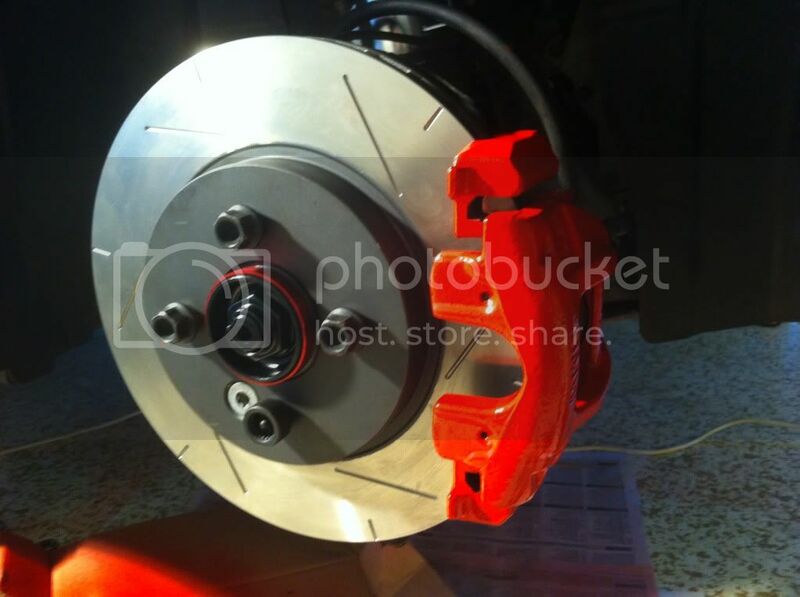 Bright "look-at-me" caliper colors only make sense on impressive big brake kits and supercars. On a MINI with small little stock calipers, I'd go black or silver, personally. Good point. Never thought of it that way. Just like the look of painted calipers. I'll probably do big brakes on the front in the future. 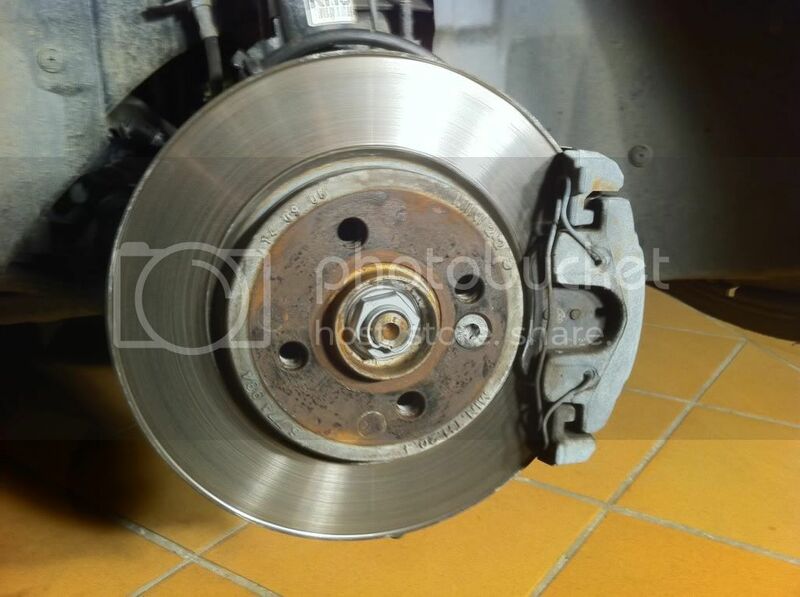 And just slotted rotors on back. dark bronze or deep gold. hides the dust well and looks subtle. oem is oem. bright/flashy draws attention to your stock brakes that are painted. You can do a little polishing on the cooling ribs of the caliper with 180 to 220 to 600 and apply polishing paste. then some light masking and then paint a Satin Black. This way it will have a subtle custom none oem/stock look and not be so flashy as to draw attention the their size in relation the the wheel. This. Plus no worries about brake dust. Also, if you do "color" them. I'd have them powder coated. It's been my experience that paint doesn't hold up as well. I've painted mine red to match some other accents on my car they really show with my R90 wheels, and I used the caliper paint at autozone, 5 years later they look just as fresh as the day I painted em. I get people asking me if I have after market calipers and compliments on em. on a red car I would go all out, you're already a cop magnet so paint them black and white checkers and show em off lol. Little pro tip, if you want the paint to stick get actual caliper paint that you paint on with a brush, it's easier to apply and if you polish the calipers first before you paint em they come out looking really smooth. I freshened up my brakes over the summer and I didn't want to deal with the hassle and cost of a full BBK upgrade. All I did was get new rotors, pads and painted my callipers. I did it mainly for looks and of course less brake dust.